John Shorb, Jr. serves as an Principal at Opsis Architecture. Prior to joining Opsis, John worked for four years at Ziger Snead Architects in Baltimore, MD on award winning projects such as the Maryland Historical Society Museum and also spent time in Botswana where he volunteered in University of Botswana architecture studios. John has been a leader on multiple performing arts projects including the award winning Reed College Performing Arts Building, Pierce College Arts and Allied Health and currently the new theatre for Bag & Baggage Productions building upon his education in the theater at Vanderbilt University. The office appreciates John’s well rounded understanding of design from early concepts and planning through the complex detailing and construction administration. He has presented nationally at Association of College Unions International conferences and been a key member of multiple union projects including the Oregon State University Student Experience Center and, currently, the Western Washington University Ethnic Student Center. John is a long-time leader in setting and attaining ambitious sustainability goals for all Opsis projects and for the larger Portland architectural community. 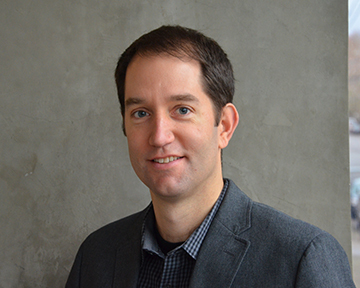 He is the former co-chair of the AIA Portland Committee on the Environment (COTE) where he helped establish the annual Green Champions summit and institute training for architects to track and record energy usage for design award submissions. At Opsis, John led the development and goal setting included in the Opsis Sustainability Action Plan. He has been active with the International Living Future Institute, spearheading the first Legacy project in the Portland Cully neighborhood.